We’d love your help. Let us know what’s wrong with this preview of Half Brother by Kenneth Oppel. For thirteen years, Ben Tomlin was an only child. But all that changes when his mother brings home Zan — an eight-day-old chimpanzee. Ben’s father, a renowned behavioral scientist, has uprooted the family to pursue his latest research project: a high-profile experiment to determine whether chimpanzees can acquire advanced language skills. Ben’s parents tell him to treat Za For thirteen years, Ben Tomlin was an only child. But all that changes when his mother brings home Zan — an eight-day-old chimpanzee. Ben’s father, a renowned behavioral scientist, has uprooted the family to pursue his latest research project: a high-profile experiment to determine whether chimpanzees can acquire advanced language skills. Ben’s parents tell him to treat Zan like a little brother. Ben reluctantly agrees. At least now he’s not the only one his father’s going to scrutinize. It isn’t long before Ben is Zan’s favorite, and Ben starts to see Zan as more than just an experiment. His father disagrees. Soon Ben is forced to make a critical choice between what he is told to believe and what he knows to be true — between obeying his father or protecting his brother from an unimaginable fate. To ask other readers questions about Half Brother, please sign up. Is it good? I have heard from certain people that it is disgusting but goodreads description of the book makes it sound like there is no minion and banana! Is this book suitable for primary school kids? I would read this book over Sara Gruen's "The Ape House" Any day of the week. Unlike Gruen's book, which claims to glean inspiration from notable great ape ASL research experiments, namely, Project Washoe, Project Nim, Koko the gorilla, and Kanzi, this book actually reflects many of the situations encountered while these projects were active. Many parallels are drawn between Zan and Washoe (Roger Fouts' "Next of Kin: My Conversations With Chimpanzees"), including the plan behind the cross-foster I would read this book over Sara Gruen's "The Ape House" Any day of the week. Unlike Gruen's book, which claims to glean inspiration from notable great ape ASL research experiments, namely, Project Washoe, Project Nim, Koko the gorilla, and Kanzi, this book actually reflects many of the situations encountered while these projects were active. Many parallels are drawn between Zan and Washoe (Roger Fouts' "Next of Kin: My Conversations With Chimpanzees"), including the plan behind the cross-fostering,and utilizing guidance to teach ASL signs. There is also a change of housing to a chimp facility run by a researcher who makes use of collars, chains, cages, and cattle prods, and Peter, who plays the role of Dr. Fouts, Washoe's friend, guardian, and protector. There are also stark similarities to Project Nim: the fact that both Nim and Zan had a confusing, revolving-door system of caregivers and ASL teachers, and that his learning was not quantified with double-blind tests, which virtually invalidated everything he had been taught. It's a well-researched book, and reads more like an actual account of a legitimate research attempt, rather than just cliched, dramatic fiction (i.e. "The Ape House"). The only distracting issue I found was with Ben, the family's 13-year old son. His instinctual behavior is consistent with that of a 13-year old, as with his thought processes. However, his actions and reasonings are more indicative of an older teenager. He doesn't act like a 13-year old, nor does he reason like one. However, he thinks and behaves like one. It's a tricky differentiation to try to explain, but I'm sure if you read the book, you'll know what I mean. And I think he picked up on the "alpha-male" stuff too readily and easily. Some cross-fostering experiments did result in family's children assimilating chimpanzee behaviors, but this kid soaks them up too readily from only one well-behaved chimpanzee who only interacted with human. He'd need to spend quite a bit of time interacting among several chimpanzees before he began to pick up on the controlling pushiness of a dominant animal. Our capacity for language is one of the attributes often cited as what makes humans so distinct from other animals. It’s a controversial distinction, because we’ve observed other species communicate in very interesting and effective ways: whales sing, dolphins whistle, birds do whatever it is they do to switch places while in formation. Parrots, of course, can be trained to mimic human speech! But there’s a difference between replicating instinctual sounds with fixed meanings and being able to l Our capacity for language is one of the attributes often cited as what makes humans so distinct from other animals. It’s a controversial distinction, because we’ve observed other species communicate in very interesting and effective ways: whales sing, dolphins whistle, birds do whatever it is they do to switch places while in formation. Parrots, of course, can be trained to mimic human speech! But there’s a difference between replicating instinctual sounds with fixed meanings and being able to learn language—to use it in innovative ways. When we look to other species who might possess this capability, we naturally turn to one of our closest relatives: chimpanzees. There are many famous cases of attempts to teach primates signs or some other type of “language”: Koko, Washoe, Nim. The last has received recent publicity in the form of a documentary, Project Nim, and Washoe and Nim quite resemble Zan, the fictional cross-fostered chimp in Half Brother. Although it seems evident that Kenneth Oppel researched these projects, and others like them, for this book, it would have been interesting to hear how they inspired him in his own words. I guess afterwords or author’s notes aren’t all that common in young adult fiction (but maybe they should be). I’m reading this book because my associate teacher in my second practicum is reading it to her Grade 8 class. I picked it up the week before my practicum, because it seemed like the thing to do. Oppel has been around since I was a kid—I’m pretty sure I read at least Silverwing—but I never quite became a “fan” of him. I skipped a huge chunk of YA fiction when I was that age as I jumped right up to more sophisticated stories—mysteries and then, in Grades 7 and 8, fantasy and science fiction. Now, as I prepare to teach those grades, I’m making a conscious effort to look out for interesting young adult fiction. Not only will it help me understand the mindset of my charges, but it will give me some practical recommendations if my students ever ask me what to read. I ended up enjoying Half Brother a lot more than I expected—though why that’s so is beyond me, because I really like chimpanzees. If there’s one thing I love about David Brin’s Uplift series, it’s the possibility of letting chimps talk. Sure, they’re sexually rapacious and somewhat brutal … but they’re also so fascinating. Look into those deep eyes and see how much they perceive, how much they understand, how much they can empathize … I don’t know if words like sentient or sapient are accurate, but there’s something going on there. Of course, experiments trying to narrow that something down inevitable run into ethical issues. Ethics plays a role in Half Brother, as does a slew of other motifs. This is a very rich novel in terms of potential for discussion with a class. One can discuss the ethics of animal testing: should we experiment on chimps? What about medical testing on animals? Cosmetics testing? Where do we draw the lines? And then we can go deeper: the protagonist, Ben, repeatedly comments that Zan isn’t human, but he is a person. So that raises the question of what personhood is, if not humanity. What does it mean to be a person? Fifty or sixty years ago, we were having those discussions about people who weren’t white. A century ago we were having them about people who weren’t male. Now we’re having them about people who aren’t necessarily our own species. The times, they change, but the conversations stay the same. Then there’s Ben. The fact that he shares my name certainly helps. As the book opens he is about start Grade 8, and he finishes Grade 9 before the book’s end. For the most part, Oppel does an excellent job portraying Ben as a genuine 13-year-old boy. The vocabulary and syntax are accurate, and the ways Ben conceptualizes and explains events reflect the thinking of someone just on that cusp of adolescence. And he has a crush! Oppel sets up parallels between Ben’s interactions with Zan (Project Zan) and his attempts to get closer to Jennifer Godwin (Project Jennifer). It’s cute and adorable, and I’m sure that actual Grade 8s in my class find it icky and weird. (Occasionally, Oppel stretches the credibility of what he has Ben write—I doubt a 13-year-old boy would describe his crush as “luscious”.) I’m kind of interested to see what the girls think of how Ben is acting! One curious note: this book seems to be set sometime before 1977. According to Wikipedia, this is when Canada switched its speed limit signs to kilometres per hour—early in the book Ben mentions a sign in miles per hour, which really jumped out at me. Aside from that incident and the frequent mention of records and record stores (at first I just thought these kids were all unspeakably retro), Oppel never makes it obvious that this book is set in the near past; there are few enough indications of the timeline. To be honest, I’m not sure why he chose this. I have some guesses. Perhaps he wanted to be closer to the era when the real chimp language experiments were running. Perhaps he needed an environment where a teenager wouldn’t have access to the Internet or to a cell phone. I’m not sure. For a book with a such a simple and, yeah, predictable narrative, there’s quite a bit going on in terms of story. Ben gets to know Zan and starts thinking about the ethics of what his father is doing. This leads to issues with his dad, particularly when the project begins foundering and his dad makes a number of questionable decisions related to Zan’s wellbeing and future. Moreover, Ben has trouble getting the marks necessary to satisfy his father, who feels Ben merely needs to try harder. Oppel is careful to portray Ben as a kid who does try hard (mostly) but happens not to be so hot at academics. He struggles even more as he attempts to find his social position at a new, private school. All of these sub-plots are detailed and fine-tuned in such a way that they’re ripe for discussion, but they never subsume the main story about a boy and his chimpanzee. I admit, I teared up at the ending. It’s somewhat contrived, but that doesn’t reduce its power. Oppel gives us a send-off carefully calibrated to be bittersweet, “happy” in some ways but also heartbreaking in others. Half Brother doesn’t take half measures in this regard: everything is either an emotional high or an emotional low, and while it can feel exhausting at times, I also think it keeps the book interesting. There’s a volatility to the story that probably works well to hold the attention of a younger audience. At the same time, as I describe above, Oppel does not condescend to his audience at all. The issues are real and important, and the language he uses is authentic. In a world were certain popular young adult fiction has protagonists who do nothing but swoon over competing mythological boyfriends and faint during all the interesting scenes (I name no names), I’m happy there are far superior alternatives. Ben is introduced to Zan when he is 8 days old. Zan is his new baby brother. At first Ben is resistant to loving Zan, but that changes as he gets to know him. Ben loves Zan more than anything in the world. He would do anything for him. But others, including his father, don't understand why he has such an attachment to Zan. Yes, Zan is his brother, but Zan is also a chimp. A chimp who Ben's father is researching by conducting an experiment to see if chimps can learn language. To Ben, Zan has beco Ben is introduced to Zan when he is 8 days old. Zan is his new baby brother. At first Ben is resistant to loving Zan, but that changes as he gets to know him. Ben loves Zan more than anything in the world. He would do anything for him. But others, including his father, don't understand why he has such an attachment to Zan. Yes, Zan is his brother, but Zan is also a chimp. A chimp who Ben's father is researching by conducting an experiment to see if chimps can learn language. To Ben, Zan has become a member of the family, but to others, he is just a specimen. Ever since I started teaching and I was introduced to Willie B. through a short story and Sukari in Hurt Go Happy, I have gotten a mild obsession with apes- specifically chimps, gorillas and orangutans. I have often visited the Center for Great Apes where I learned even more about the life of chimps in entertainment, testing and living with humans. Also, in the last couple of years, I have been introduced to Kenneth Oppel through his other books- Matt Cruse series, Victor Frankenstein and Silverwing- and I have adored every word of his that I have read/listened to. So, when Half Brother came out, I knew it was a book I had to read. But then it got pushed aside again and again. For some reason, I just never got around to it. Until my best friend listened to it and insisted it be the next audiobook I read- and I am so glad she did! Half Brother is such a touching, suspenseful, well-done, amazing story. It pulls at your heart strings throughout and makes you think about all that it means to be human. Kenneth Oppel obviously did a lot of research for this project. Half Brother is set in the 1970s at the peak of chimp research including research for the space program, medicine and language acquisition (Project Nim & Project Washoe) and also the beginning of protest against such experiments. This book teaches you the history of this time through a fictional experiment that is not much different than the real ones. 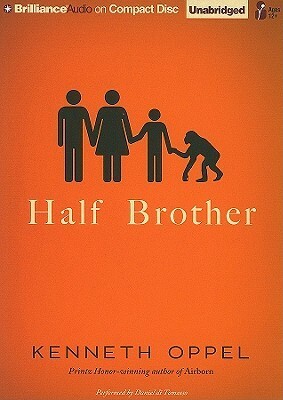 Half Brother is an emotion-filled, thought-provoking book which brings Zan and his family to life in 1973. This book is made to be a discussion as it introduces so many tough topics and is one that I cannot wait to discuss with students. Great historical fiction with a local angle (Victoria is a great weekend destination for my area), and a cool scientific/animal hook. Booktalked this as part of my 2016 middle school sweep and it was a runaway hit. This was an example of a book where I rewrote my booktalk to great success. My first version focused on the "double-edged sword"ness of the similarities between humans and chimpanzees. My second booktalk took a scene from the book of Zan being adorable and brought it to life. Complete w Great historical fiction with a local angle (Victoria is a great weekend destination for my area), and a cool scientific/animal hook. My first version focused on the "double-edged sword"ness of the similarities between humans and chimpanzees. My second booktalk took a scene from the book of Zan being adorable and brought it to life. Complete with a bottle of liquid soap. In the early 1970s, Ben’s parents are at the cutting edge of behavioral animal research. When Ben’s father, Dr. Richard Tomlin, gets an appointment at a university that supports his proposed project for teaching American Sign Language to a chimpanzee, he moves his wife Sarah and 14 year-old son across Canada from Toronto to Victoria. Ben is not too excited about this, nor is he thrilled when his mother brings home an 8-day-old chimpanzee that Ben sees as ugly. They name the chimp Zan (after Tarz In the early 1970s, Ben’s parents are at the cutting edge of behavioral animal research. When Ben’s father, Dr. Richard Tomlin, gets an appointment at a university that supports his proposed project for teaching American Sign Language to a chimpanzee, he moves his wife Sarah and 14 year-old son across Canada from Toronto to Victoria. Ben is not too excited about this, nor is he thrilled when his mother brings home an 8-day-old chimpanzee that Ben sees as ugly. They name the chimp Zan (after Tarzan). While Richard will be using graduate students to teach Zan ASL, Sarah will be raising Zan as a human child as she writes a dissertation on cross-fostering. Ben is expected to help with Zan’s care and to see the chimpanzee as his brother. His reluctance soon wears off in the face of Zan’s undeniable charm. At first the experiments seem to go well with Zan. He masters about 65 ASL words, but there is some debate as to whether he really comprehends the language or if he is just mimicking what he sees. Ben’s father tries harsh techniques while teaching Zan, including tethering him to a highchair for hours at a time. Tensions quickly arise between the father, who sees Zan as a test subject, and the son, who believes that it is his responsibility to protect his little brother. Ben struggles with the ethical and moral issues surrounding his father’s research and worries about what will happen to Zan if the project fails. Kenneth Oppel’s novel is incredibly well researched. He draws from real-life experiments on simian intelligence, particularly the experiments with Washoe the chimpanzee. He accurately reflects the conflicting attitudes to animal research in the 1970s. Half-Brother will definitely start conversations among young adult readers about the ethics of using animals. Oppel’s novel shows that there is not a simple solution to the problems surrounding animal test subjects. He leaves the reader to form his or her own opinions. Half-Brother also explores the themes of family, school life and dating. Ben’s tenuous relationship with Richard is fascinating and disheartening. Ben appears to be a constant disappointment to his father. Richard is cold and thoughtless to his family through much of the novel. I was just as interested in how these family dynamics would resolve as I was with what would happen to Zan. Ben’s adjustment to a new school and his desire for the daughter of his father’s boss are equally interesting and believable. Excellent writing, complex characters, and thought-provoking themes will keep readers engaged from start to finish. Like many of Oppel’s novels, Half-Brother will appeal to a wide audience. I highly recommend this book to grades seven and up. I had this book out from the library for months before I could bring myself to crack it open. It seemed so fraught with peril, and I was afraid of it. It's the story of a young man, the son of scientists, who gets inextricably involved with his parents' experiment around teaching a baby chimp ASL while raising him as a human, or as near enough to a human as to make no difference. It's also the story of a young man falling in love for the first time, and adjusting to school, and dealing with a wel I had this book out from the library for months before I could bring myself to crack it open. It seemed so fraught with peril, and I was afraid of it. It's the story of a young man, the son of scientists, who gets inextricably involved with his parents' experiment around teaching a baby chimp ASL while raising him as a human, or as near enough to a human as to make no difference. It's also the story of a young man falling in love for the first time, and adjusting to school, and dealing with a welter of confusing feelings. Solidly written, emotionally affecting, and not terribly wrenching. There's no happy ending coming, one can see this from the beginning. The journey is very worth taking, and I think this is a wonderful book for young adults who may not have thought through animals in labs and what can and does happen to them sometimes. Drawing liberally on real-life research into simian intelligence and language acquisition, this fictionalized take on Washoe the chimpanzee's life may be targeted at adolescent readers, perhaps, but it's a quick and enjoyable read for anyone who, say, likes Robert Sawyer but wants something lighter. I finished it in a single day, though it took me awhile longer to decide what to say about it. The book as it stands has at least one significant flaw: I searched in vain for any foreword, afterword, Drawing liberally on real-life research into simian intelligence and language acquisition, this fictionalized take on Washoe the chimpanzee's life may be targeted at adolescent readers, perhaps, but it's a quick and enjoyable read for anyone who, say, likes Robert Sawyer but wants something lighter. I finished it in a single day, though it took me awhile longer to decide what to say about it. The book as it stands has at least one significant flaw: I searched in vain for any foreword, afterword, bibliographic reference or even dust jacket footnote acknowledging the source for so much of the narrative, or pointing interested readers to further information. Kenneth Oppel himself is quite open about the origins of this story, so I think it must just have been a missed opportunity on Scholastic Press's part (at least for this edition; other editions may have corrected this issue). Any way you look at it, though, it's a real shame that Half Brother could not give its audience more of a clue about its story's historical basis. Ben Tomlin is our 13-year-old narrator for Half Brother. Ben's father Richard is a Canadian behavioral psychologist, an aloof and intensely dedicated scientist (possibly fairly far along on the spectrum of autistic behavior himself), who takes his family from Toronto to Victoria, British Columbia, in order to pursue grant money for his grand project: adopting a chimpanzee—here called Zan—and raising it in a human environment, to see whether it can learn American Sign Language (ASL). Ben's a good choice for a viewpoint character, even if this book were not targeted specifically to kids his age. His inexperience explains, for example, why the book starts out with no hint of reflection about the ethics of proving simian intelligence by abducting a baby chimp from its mother to raise it with a human family. Ethical considerations definitely come in later, though, as Zan's integration into the Tomlin family proceeds and the project attracts various kinds of media attention. Ben falls for the little guy pretty quickly, and soon comes to consider him as a full-fledged family member. His mother, a researcher in her own right, also finds Zan easy to treat in motherly ways. Dr. Richard Tomlin, though, never seems to see Zan as anything but an experimental subject. This conflict provides much of the tension, especially when a couple of setbacks lead to the project being cancelled altogether. How the Tomlins deal with the loss of Zan to a rather more old-fashioned animal center in Nevada drives the rest of the novel. I first thought that Half Brother had a whiff of the "trunk novel" about it... Ben has phonograph records and a photographic darkroom, but no cellphone and no computer, for example, and his mother is a 34-year-old who dresses in bell bottoms and Native American jewelry. That's just because the novel is set explicitly in 1973, though, as becomes clear later on. As Oppel mentions in the above-linked talk about the book, he didn't start writing it until after Washoe's death in 2007. All right, let it be known that I am an enormous, gigantic, honking big fan of Kenneth Oppel. This Dark Endeavour and Airborn are my two favourite books, ever- books I read through fairly often for little to no reason, and books I occasionally sleep with like normal people might sleep with a teddy bear. Ridiculous perhaps? No, because it's true. Anyways. To the point now. I didn't actually like this one. Usually Oppel's books are very engaging and interesting, but this one, I felt, never went any All right, let it be known that I am an enormous, gigantic, honking big fan of Kenneth Oppel. This Dark Endeavour and Airborn are my two favourite books, ever- books I read through fairly often for little to no reason, and books I occasionally sleep with like normal people might sleep with a teddy bear. Ridiculous perhaps? No, because it's true. Anyways. To the point now. I didn't actually like this one. Usually Oppel's books are very engaging and interesting, but this one, I felt, never went anywhere. Sure, they captured the monkey at the end. I don't care! Our hero (I actually forgot his name- see how much I liked it?) is somewhat jerkish and annoying. He's not as fun as other Oppel protagonists, and seems doomed to be forgettable. Why? Well, I don't even know his name. It started out decently enough and I could see some potential, but I never became very interested. Also towards the last third it started picking up bizarre similarities to the latest Planet of the Apes movie, but that's another story. I kept waiting for the main character to do something cool and funny and win me over. And frankly I never liked the monkey. For my usual standards, Half Brother is fairly good. But I'm so used to Kenneth Oppel writing amazing books that I was left disappointed by how not-amazing it was. In Airborn there were large angry cats with wings- in this book, there's an annoying little chimpanzee and another annoying little chimpanzee whose name is (I just checked the back of the book) Ben. Come on, Oppel. You've done better. This one really needed a monster fish living in a cave that eats people, or something. The one thing I did like was the time period- the 70s are interesting and that kept me more attentive than I would've been. I chose to read this book because I've enjoyed other books by Kenneth Oppel. By coincidence, I'd just heard the NPR "This American Life" podcast about Dr. and Mrs. Temrelin who "adopted" Lucy, a chimpanzee, and raised her as their own daughter--a story which did not have a happy ending. I also had recently listened to the NPR "Stuff You Should Know" podcast about How Face Transplants work and the several incidents of chimps raised in homes who suddenly turn violent and--well, the title of the po I chose to read this book because I've enjoyed other books by Kenneth Oppel. By coincidence, I'd just heard the NPR "This American Life" podcast about Dr. and Mrs. Temrelin who "adopted" Lucy, a chimpanzee, and raised her as their own daughter--a story which did not have a happy ending. I also had recently listened to the NPR "Stuff You Should Know" podcast about How Face Transplants work and the several incidents of chimps raised in homes who suddenly turn violent and--well, the title of the podcast was "How Face Transplants work," so just I'll leave it at that. My point is, I went into this story with a sense of foreboding and dread. I didn't see how the story could end well. And in a way, the story didn't end well. But it ended as happily as it could have. And I think the point was clearly made that the best place for wild animals is in their own habitat. In Oppel's latest novel, a boy is raised by two parents who are scientists. They decide to adopt a baby chimp (kidnap) and teach it to speak English. But his father isnt' as nice as he seems.. Is he using the chimp for more sinister purposes? Can the main character accept the chimp as a real member of his family? This book has some teen drama sprinkled into the fold. It was a fairly quick, but emotional read and I really enjoyed the interactions with the chimp, Zan. This book is about a family who adopt a baby chimp as part of an experiment to see whether he can be taught to communicate using sign language. The mother and father are both scientists and their son, Ben, is 13 when Zan comes to live with them. This is why the book is called Half Brother, because Ben has to accept this animal not as a pet, but as a brother. At first Ben has a hard time with this but eventually he comes to his senses and realises that Zan means more to him than a science experiment. However his Dad ends up shutting down the project - he says it's because Zan is getting too strong and dangerous but Ben knows it's because he's lost faith in the project and doesn't believe Zan is learning language or ever will. So the whole book is about one boy's fight to save his little chimp brother. Along the way he meets many characters, some who play a key part in Zan's life, such as the Godwin family and Tim Borden and especially Peter, a student who works with Zan and becomes his best friend. This book made me feel sad sometimes, and also excited - there were some intense bits in there. I also learnt about biomedical labs and how cruel they are to animals. It's funny, sad and tragic all at the same time. - First up, most importantly, it's superbly well written. I don't know exactly what it is that distinguishes YA fiction from adult fiction, because at no point did I feel that this book was beneath my reading level, yet nor did it seem to be above Cormac's either. It was simply easy and welcoming to read, like settling into a (faux, of course) fur-covered beanbag. - The story is gripping. It achieves the perfect balance of plot/pace to studied introspection, and the ethical issues, while paramount, somehow never dominate. In fact, I happen to know that a person can read this book and not become overly bogged down by the ethical dilemmas it throws up - Cormac being a case in point. Although we discussed the thorny issues as they cropped up, I don't think Cormac, left to his own devices, would have beaten himself up about them. The dilemmas range from what does it mean to be human? to should scientists maintain emotional distance from their subjects? 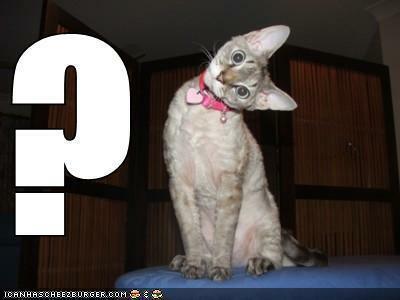 to is animal testing is ever justified, even if it helps to save human lives?. Although these issues are present all the way through the book, Oppel somehow escapes the tendency to slip into overt preaching - the story speaks for itself and leaves the reader to draw their own conclusions. - The characters are authentic. From the long-haired hippy Peter, Zan's handler, to Ben's Mum and Dad, to the prissy private school kids and eager-to-please university students. They are developed primarily through dialogue, which helps keeps the narrator's voice in the background and adds to their authenticity. This is particularly the case for Ben's parents, who carry a lot of baggage in their relationship (that is to say, as much as anyone else!) leaving Ben to sift through the left-overs and make sense of his own place in the family. And all throughout there are alliances and trade-offs, politics, pride and finances at stake, ensuring the reader is well invested in Zan's future by the final few pages. - Authenticity of the period. This book is like the literary equivalent of Mad Men. Set in the 1970s, kids ride bikes and shoot BB guns, they're "necking" at discos, listening to Abba and washing dishes by hand, they consider colour tv's and digital clocks the height of technology, and experiments involving chimps are all the rage. The attention to detail is subtle but fantastic. - The surprises. And there are a few - one or two outrageous scenes in particular left us laughing/gawping in a mixture of horror/hilarity. These scenes passed as briefly as they appeared with no explanation or comment, and I loved that. It reminded us, just as any good fiction should, that anything can happen. - It made me cry - and in case you didn't know, it's hard to read out loud through tears. I was worried Zan was getting upset, so I talked to him as I groomed him. I started telling him the story of his day, and flying on an aeroplane, but he wouldn't remember any of that, and anyway, it was such a sad story I couldn't keep going. But if I had to dispense with all the bullet points, what would I say about Half Brother? I'd say it's going to be a hard act to follow. Ben's parents are both scientists but he is shocked when they announce that they are adopting a chimpanzee so they can try to teach it sign language. He isn't keen on the idea and really doesn't want to have to move across the country to be nearer the university that is funding the experiment either. When Zan arrives Ben is told to think of him as a younger brother, Zan is to be raised as a human child and the whole family must be involved along with several students from the university. But wha Ben's parents are both scientists but he is shocked when they announce that they are adopting a chimpanzee so they can try to teach it sign language. He isn't keen on the idea and really doesn't want to have to move across the country to be nearer the university that is funding the experiment either. When Zan arrives Ben is told to think of him as a younger brother, Zan is to be raised as a human child and the whole family must be involved along with several students from the university. But what will happen to Zan if funding for the experiment runs out? I have to confess that I was nervous about reading Half Brother, the idea of raising a chimp in a human family didn't sit right with me and I wasn't sure if this was a story I would enjoy. There were a couple of things at the beginning of the book that made me really uncomfortable and I almost didn't continue reading but I have to say I'm glad I pushed through and gave the story a chance. Both Ben and Zan stole my heart and this ended up being an incredibly emotional read that I thoroughly enjoyed. When Ben first finds out that his parents will be bringing home a chimp and raising him as Ben's brother he isn't happy. He doesn't like the idea of having to move to another part of the country and is worried about what his new classmates will think of him and his family. When Zan first arrives he is determined to have as little to do with him as possible but it doesn't take long before Zan's big brown eyes and sweet nature start to grow on him. He soon falls in love with his new brother and becomes very protective of him. I loved watching the relationship develop between the two of them and found it sweet watching them together. Watching Zan's progress as he grows older and starts learning sign language is fascinating, especially when you find out that the story is based on two real experiments with chimps that were carried out in the 70's. Some of the things you will learn about animal experiments that have been held in the name of science are truly horrific. I know humans are capable of some despicable acts but there is something that makes it even worse when it is against defenseless animals and done supposedly for the greater good of mankind. Ben's father insisted on treating Zan like a member of the family and raising him so he thinks of himself as human but as a scientist he has always managed to keep emotions out of the equation. This isn't so easy for Ben to do so when the experiment starts getting bad press and the money starts to run out Ben is worried about what will happen to Zan in the future. This was where the story became completely heartbreaking. It's hard to go into much detail without giving spoilers though so you'll have to read the book to find out what happens and how things turn out for both Zan and Ben. Alongside Zan's story we also get to watch as Ben starts his new school and tries to fit in and make friends, this part is very much a coming of age story. I found it interesting to see that as much as Zan was learning to become human Ben was picking up qualities that chimpanzees have in the wild as he tried to become the alpha male at school. I did find 'Project Jennifer' - where Ben approaches trying to win Jennifer's heart as some kind of experiment - was a little odd but I think considering his background this was probably quite a natural way for Ben to look at things. Reason for Reading: Oppel is my favourite YA author and I read every new book he publishes. This book is something completely different from Oppel's usual fare and I must admit I was a little leery going in, hoping this wasn't going to end up being a platform for animal rights. I need not have worried; Oppel is an accomplished writer and a reader can be confident that he is going to produce a well-crafted novel that will keep one glued to one's seat. I read this book in one sitting, I was that tak Reason for Reading: Oppel is my favourite YA author and I read every new book he publishes. I read this book in one sitting, I was that taken with it. It's a far cry from my usual reading fare as well and I found it fascinating. Ben's father is a scientist and his mother also, though she is still writing her PhD dissertation. The father has a Project where he is to bring a baby chimp into the household and along with a staff of his students raise the chimp as a human, all the while seeing if they can teach the chimp, Zan, to learn American Sign Language and fully communicate with them. At first Ben's not so crazy about Zan, after all they had to move from Toronto to B.C. for his father to work at this new University, but it doesn't take long until Ben and Zan are bosom buddies and more than that, brothers in a real sense. But the Project isn't proceeding fast enough, they are denied the big grant they expected, the University wants more results and soon Ben is fighting for Zan's place in their family and he must risk it all to save Zan from a future worse than death. An incredibly intriguing story. The characters themselves add such tension to the story, the family dynamics shape the conflicts. The dad is stoically scientific, even towards his own son, emotions are not one of his good points, though we pick up clues as to what shaped this man. The mother, though also scientific, is naturally maternal, has a great relationship with her son, and her maternalism flows over to baby Zan. Ben, is thirteen when the story starts and has a whole other side story going on about school, friends and girls (especially). This is also a coming-of-age story for him and there is one particularly interesting thing about his and Zan's development. Zan obviously becomes humanized, mimics the humans and considers himself human but we also see in some ways that Zan's natural chimp behaviour is brushing off on Ben, who has been reading a lot about chimps since Zan's arrival. While Ben plays Alpha-male at school to win friends, popularity and girls, it isn't until an instant when he becomes furiously angry with his father that we see Ben turn chimp. 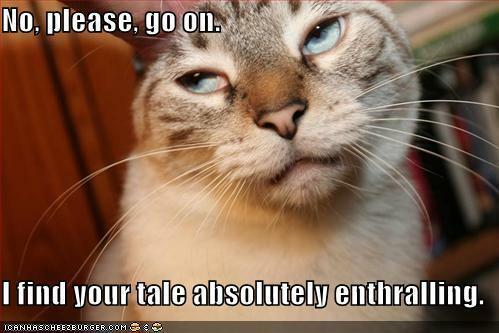 This story is full of humorous escapades created by Zan and others' reactions to him. But this is also a serious story that deals with the ethical treatment of animals. Right from the beginning of the book there are a couple of hints that the story is not taking place in the here and now and eventually we learn that Zan's story is taking place some 30 years in the past. This opens up a world of science that did not have the same ethics as we do today when it comes to using animals in experiments. Oppel does not go all "activist" on us but instead introduces the reader to various practices going on at the time and the scientific reasoning behind the ethics of such experimentation. Then he shows the various types and forms of protest to this treatment and with that goes further to say it was not all in the name of science (make-up testing for example). After his parents moved him across the country, Ben has to get used to a new school, make new friends, and become a big brother to the newest addition to the Tomlin-- a baby chimp. Ben is not at all excited about his parents latest research project, which is teach language to this chimp. The moment his mom brought the baby home, he wanted absolutely nothing to with him because he had bigger problems to worry about--getting into an elite prep school, making new friends, and dating the cutest girl After his parents moved him across the country, Ben has to get used to a new school, make new friends, and become a big brother to the newest addition to the Tomlin-- a baby chimp. Ben is not at all excited about his parents latest research project, which is teach language to this chimp. The moment his mom brought the baby home, he wanted absolutely nothing to with him because he had bigger problems to worry about--getting into an elite prep school, making new friends, and dating the cutest girl he has ever met. As time goes by, Ben's reluctance to be with the chimp wanes and when he names the baby, Zan (after Tarzan), all of his hesitation and heart melts. Ben has become to center of Zan's world and the closer they get, the more the Chimp progresses. In fact, the experiment goes so well that he and his family end up in People Magazine and the become the town celebrities. Life couldn't get any better for Ben because he befriends the children of the University Dean and his social profile is solid and he is good friends with the TA that is hired to help with Zan's education. However, things take a turn for the worse when the University, and critics, start questioning the validity of the experiment that leads to a treacherous journey for both Zan and Ben. That kind of describes this book. For the premise of teaching a chimp to talk...it doesn't really do that. It focuses more on Ben hating his father, his father being a jerk, animal welfare, and Ben trying to get a girl to like him. I have three main problems besides that as well. 1. Why is it called Half Brother? I guess it comes from when Ben says Zan is "half brother, half stranger", but he mentions this a whooping 1 time and it really doesn't symbolize anything. Half brother means a brother who is related by only 1 parent, and this makes the title very confusing. Maybe if he also mentioned he was more like a half brother since his father never acted like a father to Zan, but it isn't brought up. It would be like calling your book about space aliens "Martins" even though they have nothing to do with Mars but the main character says they look like Martins from a cartoon once and it is never mentioned again. 2. How come Ben associates Zan as his little brother so much? After Ben leaves Zan, he says, "I hoped he would forget he was ever human" or something close. That's where it should have ended. But no, instead we are treated to a dream sequence where Ben talks to Zan. I guess it is for emotional closure, but when Ben signs that he loves Zan and there is a pause, like maybe Zan will be mad they ruined his life, I couldn't help but think, come on! It is a dream, so we know either way it doesn't matter. It seems more for Ben's benefit than ours, and I think it would have been better for him to ask his mom, "Do you think he hates us?" or something than this. Because it is a dream, too, it really doesn't give Ben emotional closure because he knows it is fake and doesn't represent the real Zan. In all, it isn't a bad book, but there are some rather odd things about it. It is worth a read if you aren't too picky, though. When 13-year-old Ben and his scientist parents leave their home in Toronto to move to Victoria, British Columbia for his father’s important research project, Ben resigns himself to starting at a new school and making new friends. Typically, his father doesn’t seem interested in how Ben feels about any of this, all he can think about is his latest experiment in which he will study the possibility of teaching a chimpanzee sign language. As if the move isn’t enough to deal with, Ben is now also faced with the challenge of welcoming a baby chimp into their home and family and treating it like a baby brother. In this departure from his other award-winning novels, Kenneth Oppel brings readers a provocative tale of one boy’s determination to do what he knows is right. Ben is a typical teen boy who struggles to make a name for himself in his new school and to capture the heart of beautiful Jennifer Godwin. He also alternates between wanting to please his father and wanting to turn his back on him forever. This is a poignant and powerful story that challenges readers to reflect on the meaning of family and on our relationship with, and responsibility towards, the creatures with whom we share the earth. It is a complex family drama, and a profoundly sweet coming-of-age story. But most of all, it is a heartwarming, bittersweet story of the deep and lasting bond between a boy and his little brother. Last year I bought a book called 'The Discursive Mind', which argued that the difference between humans and animals is, essentially, the ability to communicate. In parts, it talked about the experiments done with sign language and chimps in the 70's, and the difference between speech and communication. While it was a fantastic book, and challenged me to really think, 'Half Brother' asked me to do the same kind of thinking, without the need for 'expert language', wrapped in a story that progressi Last year I bought a book called 'The Discursive Mind', which argued that the difference between humans and animals is, essentially, the ability to communicate. In parts, it talked about the experiments done with sign language and chimps in the 70's, and the difference between speech and communication. While it was a fantastic book, and challenged me to really think, 'Half Brother' asked me to do the same kind of thinking, without the need for 'expert language', wrapped in a story that progressively asks harder and harder questions. Half Brother worried me for a start. I felt the title was ... twee. I worried that it would be yet another story about the special love between a boy and his pet, that ended happily ever after. I really worried that the parents were too two dimensional, and stereotypical. I worried that we would get so caught up in the adolescent relationship thing that it would become a boy meets girl, boy learns to be in the right group, kind of story. I worried that Mom would never complete her PhD. I worried that Peter would lead Ben astray. I worried so much, I couldn't put the book down. Most of all I kept worrying for Zan. It seemed to become less and less likely that there could be any kind of solution for Zan that was believable, ethical, hopeful or humane. And I have to say, that despite all my maternal worrying for everyone and everything in the book, it grew up, and walked and talked and learned and ended in the most satisfying way it could; a finely tuned orchestration of events that didn't excuse wrong decisions, but did pay some kind of recompense, imperfectly, as it is in real life. This review has been hidden because it contains spoilers. To view it, click here. I thought that Half Brother was a pretty good book. Although mildly disturbing at some points, this is a heartwarming story about a boy with a "pet" who is more than a pet. It has become his brother: a part of his family. But let me back up a bit. Ben started out as an only child with a loving mother and a father who he felt was often too busy for his own son. His father is obsessed with the idea that chimpanzees have the ability and brain power to actually learn human language. That's when they I thought that Half Brother was a pretty good book. Although mildly disturbing at some points, this is a heartwarming story about a boy with a "pet" who is more than a pet. It has become his brother: a part of his family. But let me back up a bit. Ben started out as an only child with a loving mother and a father who he felt was often too busy for his own son. His father is obsessed with the idea that chimpanzees have the ability and brain power to actually learn human language. That's when they move to Victoria, Canada to have a bigger house to pull off this experiment. Shortly after moving in, Ben's mother bring home a baby chimpanzee they name Zan and they start to teach him language. But this is not the only part of the story. The other half of the story is about Ben's social life. A new home means a new school. A new school means new opportunities. Ben wants to start off school as the "alpha male" of the class. No more does Ben want to be the kid who gets pushed around and made fun of. He makes friends along the way, including a girl who he has an intense crush on. The whole book is him pursuing his fantasies of being with Jennifer forever. From my point of view, Ben gets a little creepy and obsessive with Jennifer. He goes as far as writing a journal about everything that he knows about Jennifer. This book even goes into detail of his every thought about Jennifer, which at times gets mildly disturbing. What would you do if your parents suddenly brought home a baby and you’d had no idea beforehand? Would you be upset? Happy? Excited? Ben Tomlin was an only child for thirteen years – and he thought he would stay that way. But then his mother brings home a new baby – only eight days old. No, Ben didn’t miss out on his mother being pregnant, and his parents didn’t adopt a baby without telling him. Well, they kind of did. Because the baby, Zan, is a chimpanzee. Ben’s father is a famous behavioral scientist, and Zan is his latest experiment. His father wants to learn whether or not chimpanzees can learn language. But more than just learning language – he wants to learn if a chimpanzee can learn language enough to communicate the same way – and with the same skill – as a human. Ben is told to treat Zan like he would a human brother – and he reluctantly agrees. This review is on Half Bother by Kenneth Oppel.Here is a quick summary. This book is about a scientist trying to teach a chmpanzee language. They know they cant talk so they are teaching the chimp ASL 9american sign language.) Zan(the chimp)Was raised with the scientist David, his son Ben Tomlin, and his wife Sarah.The family of three moved to Victoria all the way from Toronto Ontario. Ben not only had to learn the ASL, learn how to live with Zan, but he had to make new friends and go to a whole This review is on Half Bother by Kenneth Oppel.Here is a quick summary. This book is about a scientist trying to teach a chmpanzee language. They know they cant talk so they are teaching the chimp ASL 9american sign language.) Zan(the chimp)Was raised with the scientist David, his son Ben Tomlin, and his wife Sarah.The family of three moved to Victoria all the way from Toronto Ontario. Ben not only had to learn the ASL, learn how to live with Zan, but he had to make new friends and go to a whole new school. I really enjoyed the authors style of wtiting. The author Kenneth Oppel uses some detail without it being boring. He dosent use to little for example " It was mostly farmland, with some pastures where you'd see cows and horses. You could drive a few minutes with out seeing a single house." page 9. He gives you a good mental picture so you can imagine what it would be like. Also as a reader you can make connections to ben and his family and friends because of the details Kenneth provides. I really enjoyed this book because. Kenneth kept the story intresting by adding new problems as soon as old ones were solved. One example is when they thought every thing with ben was going great he got a serious case of pnemonia,Or when that just cleared up David(the scientist)didnt get the critical grant he needed to keep the project running. Overall would give this book a four out of five because he kept the story intresting all the time and he used great detail.He also had great characters that you could relate to or feel sorry and empathetic for. I realy enjoyed this book and would recomend it to young adults. Martha and I were just sorting through her bookshelves (Saturday morning tidy up) and remembered how much we both loved this book. Kenneth Oppel was in K-W to be the writer in residence for KPL and he was giving a book talk at one of the local branches so we cheerfully went along with our books to be signed and hear some of his wisdom. He spoke about this book and the Frankenstein series and fielded questions from children and adults who were keen to write. We probably wouldn't have chosen to re Martha and I were just sorting through her bookshelves (Saturday morning tidy up) and remembered how much we both loved this book. Kenneth Oppel was in K-W to be the writer in residence for KPL and he was giving a book talk at one of the local branches so we cheerfully went along with our books to be signed and hear some of his wisdom. He spoke about this book and the Frankenstein series and fielded questions from children and adults who were keen to write. This is a review on Kenneth Oppel's book, Half Brother. I have read multiple of his books including the four books in the Silverwing series and the three in the Airborn series! From reading these novels, I know that he is an exceptional writer with lots of talent. Half Brother has definitely lived up to all my expectations and might be one of my favorite 'good'reads! Half Brother is a story about a scientist named David Tomlin who is trying to teach a chimp ASL (American Sign Language) and rais This is a review on Kenneth Oppel's book, Half Brother. I have read multiple of his books including the four books in the Silverwing series and the three in the Airborn series! From reading these novels, I know that he is an exceptional writer with lots of talent. Half Brother has definitely lived up to all my expectations and might be one of my favorite 'good'reads! Half Brother is a story about a scientist named David Tomlin who is trying to teach a chimp ASL (American Sign Language) and raise him as a human child. To accomplish this he takes a chimp (soon named Zan) from it's mother shortly after birth and moves to Victoria all the way from Toronto with his wife, Sarah, and son, Ben. Ben has to step up and learn ASL, how to take care of his half brother and needs to make new friends in his new life! I believe that Kenneth Oppel did an amazing job on Half Brother and has done just as well as his other amazing books! I was astounded by the effort put into this book from the off topic ideas, dropping a vending machine on yourself, page 7 to having Zan shot at with a BB gun! Kenneth Oppel wrote a fabulous book and I think it deserves a good rating for all of the amazing ideas, details, facts and emotions that this story stirs up. This novel deserves a 5 out of 5, great job! This book was a fairly easy read, but I seriously enjoyed it. I have a bit of a soft spot in my heart for animals so it’s no wonder I enjoyed it so much. When the protagonist, Ben, eventually grows fonder with Zan, kinder words and thoughts come from Ben’s brain. Practically any time Ben spoke about Zan my heart melted (cheesy, I know.) Although, one part really stood out to me. Ben’s father had just finished discussing the new teaching tool they’d be using on Ben in the near futur This book was a fairly easy read, but I seriously enjoyed it. I have a bit of a soft spot in my heart for animals so it’s no wonder I enjoyed it so much. When the protagonist, Ben, eventually grows fonder with Zan, kinder words and thoughts come from Ben’s brain. Practically any time Ben spoke about Zan my heart melted (cheesy, I know.) Although, one part really stood out to me. Ben’s father had just finished discussing the new teaching tool they’d be using on Ben in the near future. Ben was insulted with his father’s views and didn’t think it was fair for Zan to be treated this way. Ben storms off into his room and pulls out a dictionary. He thinks to himself “Dad had said wasn’t a human. There was no arguing with that. But not even a person? (Oppel, 157) Ben furthers his frustrations when he discovers he is wrong. He begins to think about and list all the things that Zan does that is similar to human behavior. In this whole section, chapter, really, I learned how much Ben cares for Zan. This is when I realized he doesn’t look at Zan like a smelly specimen living in his rec room. This whole situation also built up to the climax of the book which made the climax that much more emotional. Like I said before, I have a soft spot for animals, so this really got to me. This book is about a family who got a baby chimp because the father was a scientist and wanted to test if the chimp was able to learn American Sign Language. The whole family, except for the father, treated the chimp like he was part of their family. The chimp was named Zan, which was a part of 'Tarzan'. Ben feels Zan is his baby brother and treats him like it. As time passes, Zan thinks he is human as well. He wore clothes like people and even food at the table. As time passed, Zan started to b This book is about a family who got a baby chimp because the father was a scientist and wanted to test if the chimp was able to learn American Sign Language. The whole family, except for the father, treated the chimp like he was part of their family. The chimp was named Zan, which was a part of 'Tarzan'. Ben feels Zan is his baby brother and treats him like it. As time passes, Zan thinks he is human as well. He wore clothes like people and even food at the table. As time passed, Zan started to become stronger, and when he threw a tantrum, almost no one could control him. However, he learns a lot of signs and is able to communicate with Ben and other people. One day, Ben's father ends project Zan, which means Zan is no longer going to live with Ben's family. What will happen to Zan? What can Ben do to help Zan? This is a BIG story. Ben's not thrilled when his academic parents adopt (some might say kidnap)a newborn chimp. His father wants to see if the chimp can learn language; his mother wants to see what will happen when the chimp is raised like a human baby in a human family. And Ben's life just has to fall in line with the program. At the heart of the novel is the question of what it means to be human -- or animal. Can a chimp be equal to a human? How should humans treat animals? What's right? What's This is a BIG story. Ben's not thrilled when his academic parents adopt (some might say kidnap)a newborn chimp. His father wants to see if the chimp can learn language; his mother wants to see what will happen when the chimp is raised like a human baby in a human family. And Ben's life just has to fall in line with the program. At the heart of the novel is the question of what it means to be human -- or animal. Can a chimp be equal to a human? How should humans treat animals? What's right? What's immoral? What's inevitable? Ben and Zan are the stars of the book, but many other characters are richly drawn. Their stories raise more questions. How important is a career? How much pressure can a marriage take? How do you make yourself an "in kid" at a new school? How do you make a girl fall for you? How far will you go if you believe you are right and everyone else is wrong? The novel is set in the 1970s and the depiction of the time is both accurate and creepy. The 70s weren't as icky as Kenneth Oppel makes them out (or maybe they were for him).